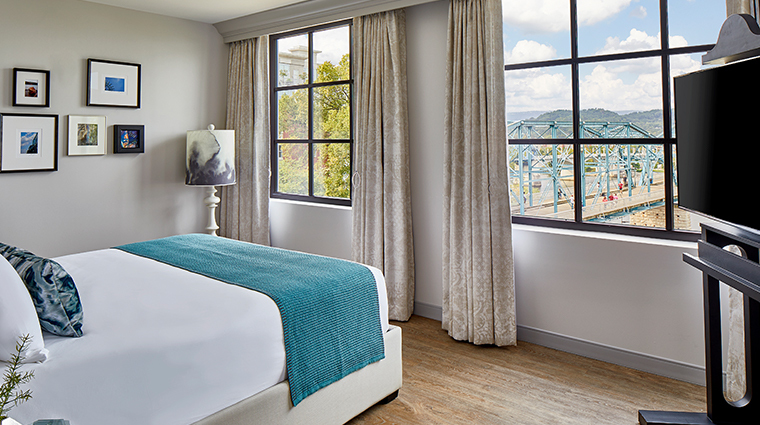 Perched above the Tennessee River’s iconic Walnut Street Bridge, The Edwin Hotel, Autograph Collection is a chic addition to Chattanooga’s classically rustic scene. 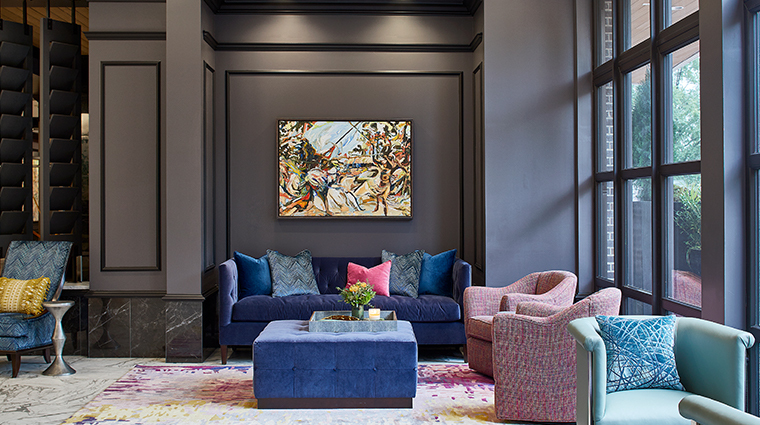 With just 90 rooms, the boutique property is intimate but big on personality — locally inspired artwork adorns almost every corner. 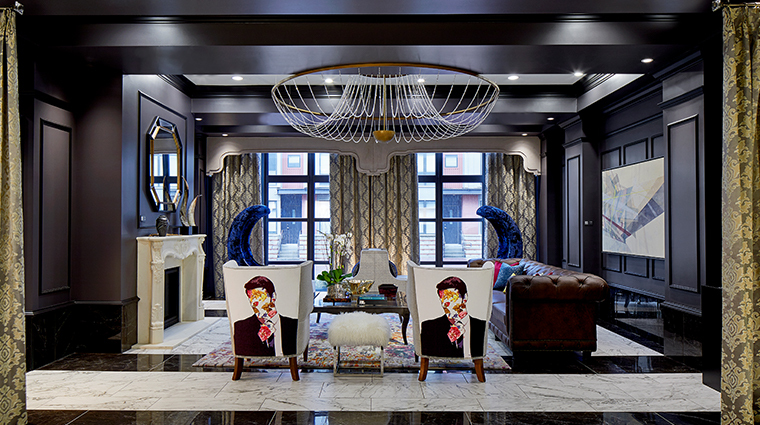 Walk through the stylish lobby, also known as The Living Room, to take in a portion of The Edwin’s art collection and to snap a few selfies from the unique royal blue chairs that adorn the cozy, fireplace-clad space. 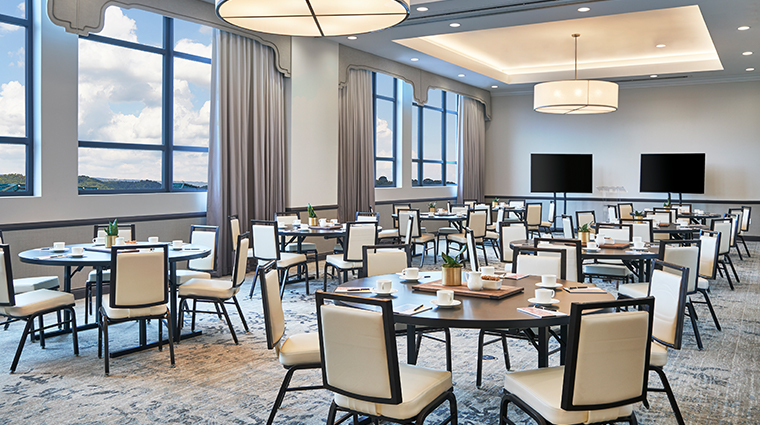 Thanks to its “Feel the Connection” mantra, the hotel provides plenty of opportunities to savor local flavor. 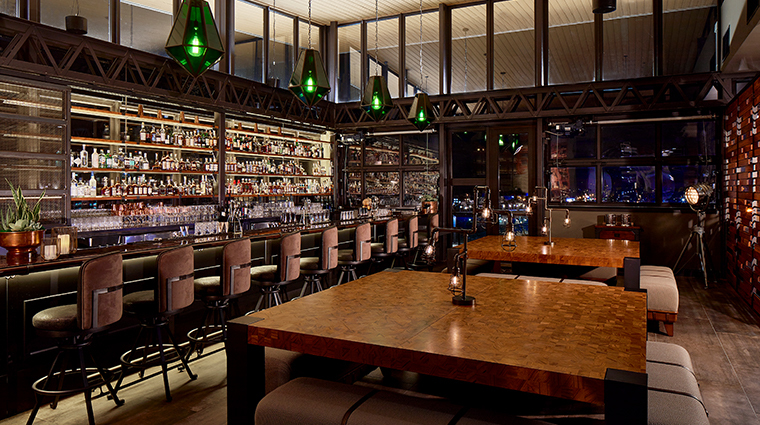 A rooftop whiskey bar, one of the city’s first, is a trendy highlight and Whitebird restaurant churns out artfully presented plates of regional cuisine. 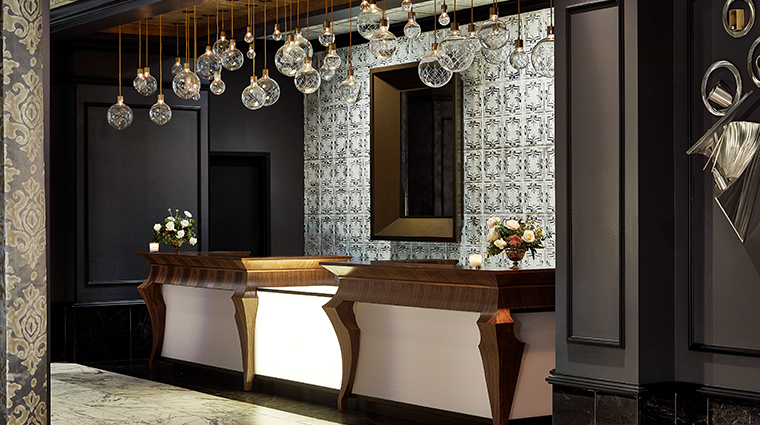 Everything about this modern stay was done with purpose, even the hotel’s name. It’s a nod to Edwin Thacher, the designer of the city’s signature blue bridge just outside the property’s walls. You can’t visit The Edwin without stopping by Whiskey Thief, its fifth-floor bar. 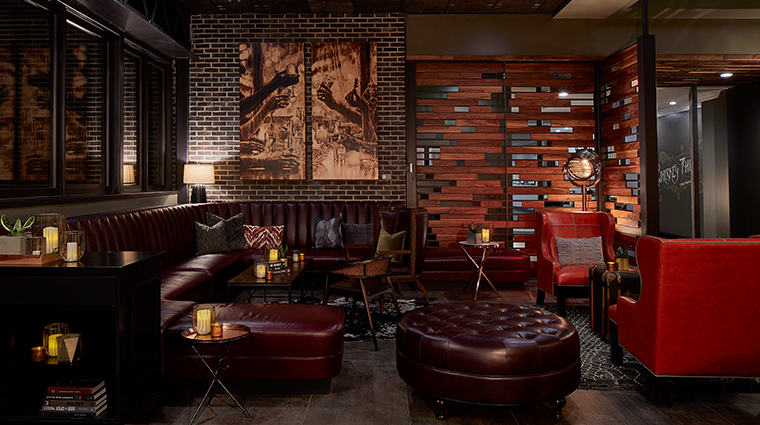 With industrial-chic interiors, Chattanooga’s only whiskey lockers (where you can show off that impressive bottle), a menu of innovative bar bites and an alfresco lounge overlooking the river, this rooftop hot spot is becoming the city’s see-and-be-seen destination. After a long day of sightseeing, a treatment at Ama Spa is a must. 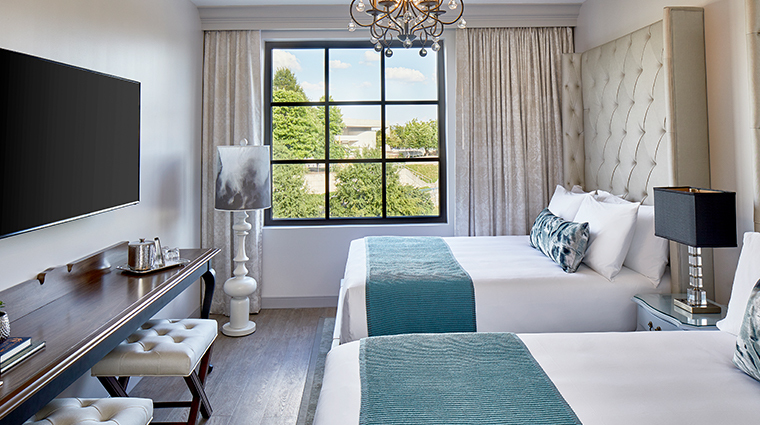 Named after the Cherokee word for water, the intimate retreat boasts a menu of refreshing treatments (the customizable Ama Signature massage and the Whiskey and Wellness ritual are both excellent) and a well-stocked boutique for some take-home pampering. 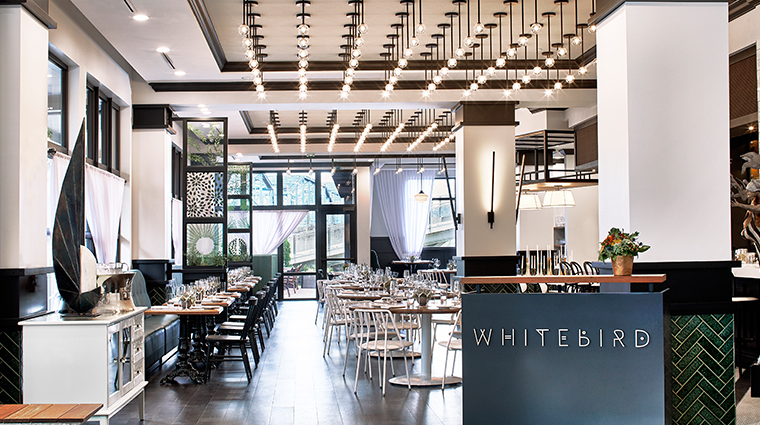 Whitebird is an elegant tasting tour through Appalachia with beautiful presentations of elevated comfort food. 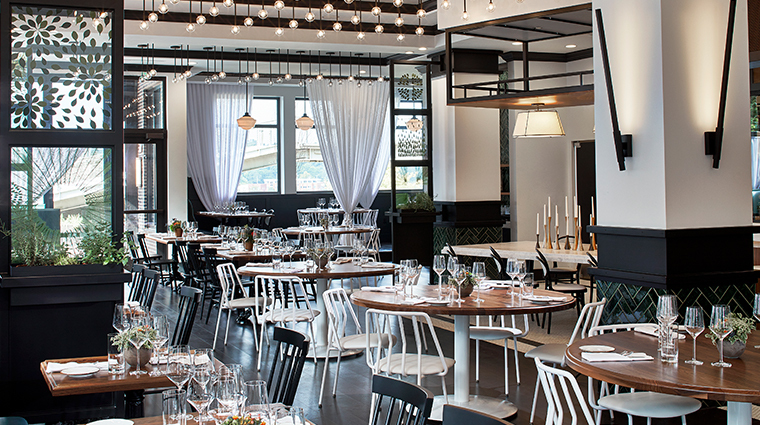 The contemporary interior design and fine-dining service belie the comforting dishes on the menu. The Chattanooga hotel is practically dripping in local and regional artwork with nearly 200 pieces on display from 70 artists. Look out for plaques and QR codes that allow you to take a self-guided tour of the property’s collection. 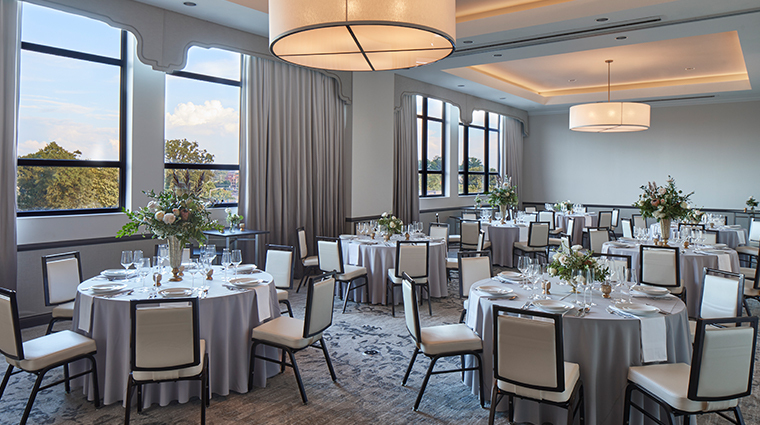 Located on a hill overlooking the river and just steps from major attractions like the Tennessee Aquarium and Hunter Museum of American Art, The Edwin occupies a prime location for sightseeing. Whiskey Thief tends to get crowded on weekends, but if you find yourself on the wait list, don’t fret. 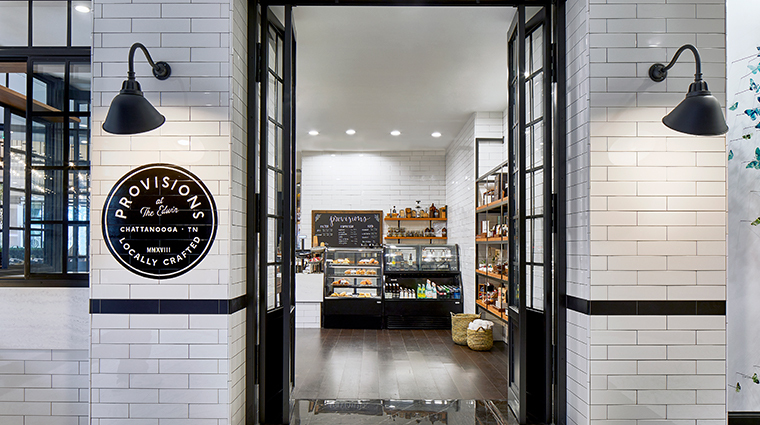 The hotel’s coffee shop, Provisions, which stays open until 10 p.m. on weekends, keeps you entertained with wine, beer and live music that fills the lobby-level Living Room. 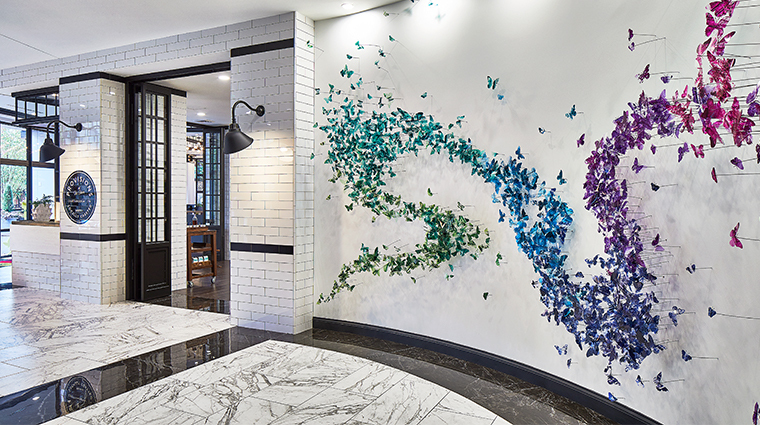 Take a closer look at the Technicolor butterfly sculpture adjacent to check-in — each tiny insect is made from a historic image of the iconic Walnut Street Bridge, and the full sculpture emulates the shape of the Tennessee River. 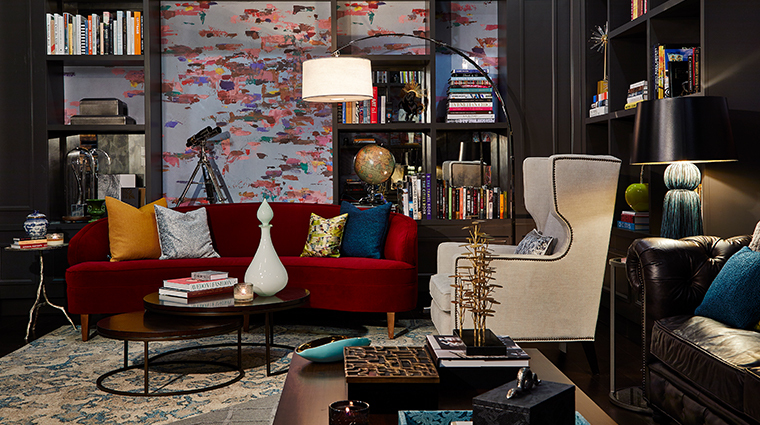 The stylish, tome-lined lounge area just outside Whiskey Thief is appropriately named The Library. While waiting for your spot at the bar, sift through the dozens of volumes that line the walls — if you find one of the clues hidden within select books, you can redeem it for a special off-menu cocktail. A 24-hour fitness center is on the fifth floor, for those looking to get in a quick workout. A heated outdoor plunge pool provides yet another way to take in those stunning city views. 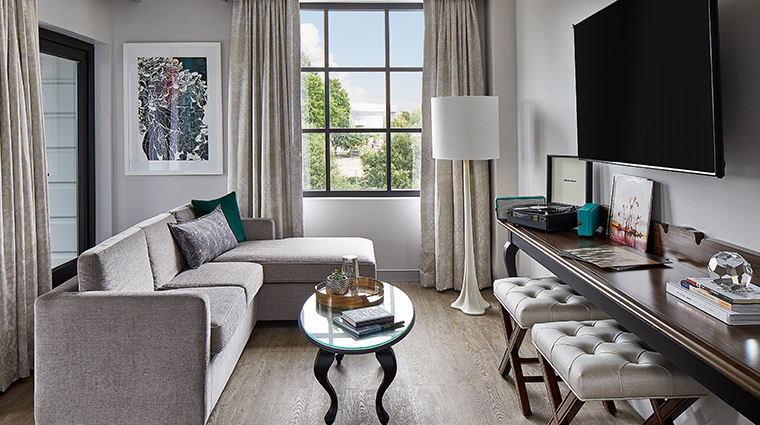 Even the rooms at this Chattanooga property are adorned with artistic accents, including full-sized murals in the bathrooms, locally themed works on the walls, record players and a selection of vinyl, and vintage-inspired Marshall Bluetooth speakers. 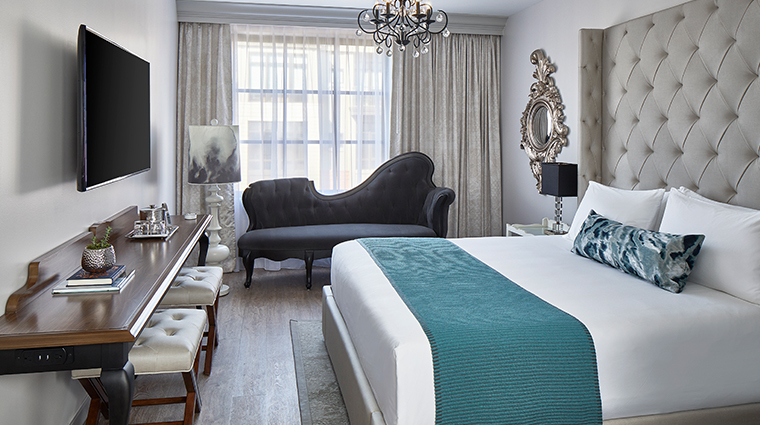 Each of the 90 accommodations features a contemporary gray-and-blue color palette and retro furnishings, such as iron and brass chandeliers, ornate mirrors and funky, Victorian-influenced couches. Modern touches include C.O. 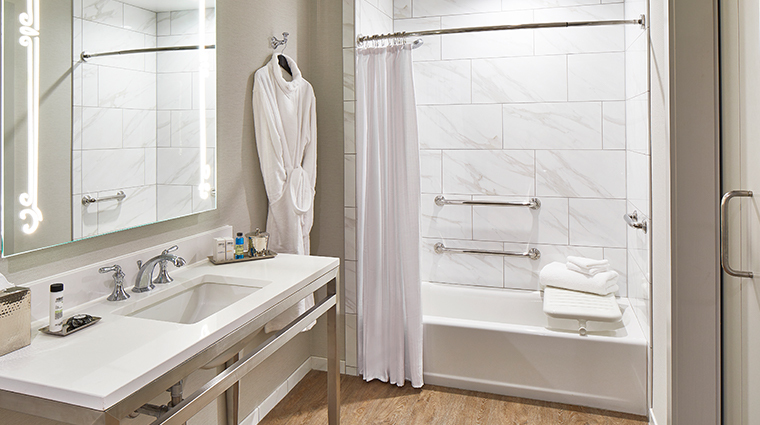 Bigelow bath amenities, Nespresso coffee makers, Chromecast streaming services and Alexa integration — check out the menu on the counter to see what this AI device can do for you. 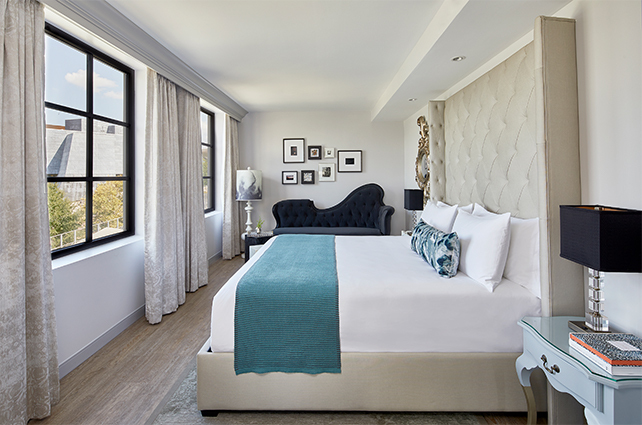 The Edwin is one of the only hotels in town to offer turndown service, and it’s done here in style. Upon your return each evening, you’ll enjoy serene low lighting, jazz tunes, flickering (battery-operated) candles and sweet treats from local confectionary, The Hot Chocolatier. 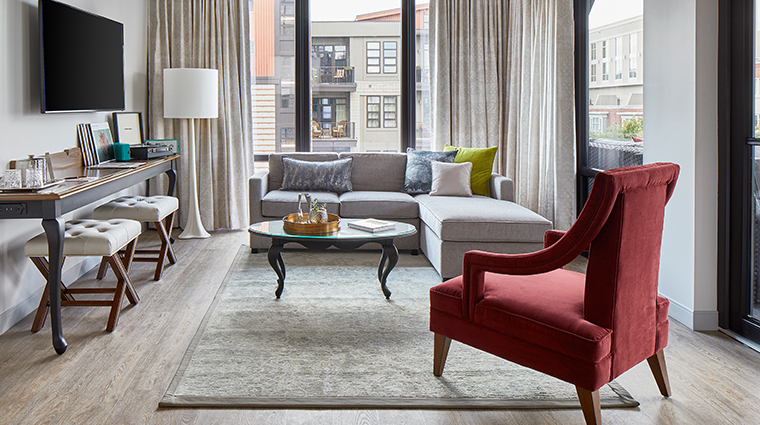 For the best vistas, book one of the luxury property’s third-floor suites. 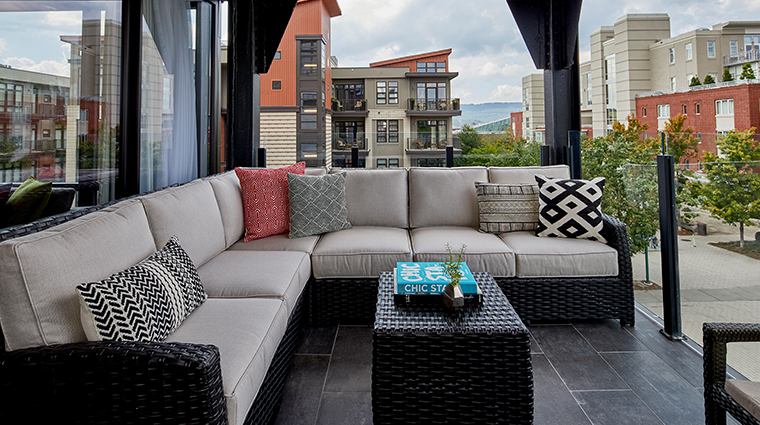 The corner rooms come with an extra luxe perk: a private patio equipped with plush seating and river views. Arguably Chattanooga’s top attraction, the Tennessee Aquarium complex is just a short downhill stroll from the hotel’s front door. During the summer, the plaza also hosts a weekend craft fair — a great place to pick up a local souvenir. The Bluff View Art District is less than a five-minute walk from The Edwin. In fact, you can probably see some of its museums from your room. Stop by the gray, geometric Hunter Museum of American Art to soak up a blend of culture and spectacular river vistas. Take a scenic stroll across Walnut Street Bridge to reach the north bank of the Tennessee River. Here, you’ll find the gorgeous Coolidge Park (home to a slew of waterborne actives in the summer), trendy restaurants, galleries and the city’s only Whole Foods Market. Formerly the town’s main train hub, Chattanooga Choo Choo is now a mini nightlife destination with a comedy club, Songbirds concert venue, restaurants and The MacArthur hotel. Be sure to stop by its lobby, housed in the magnificent former Terminal Station.